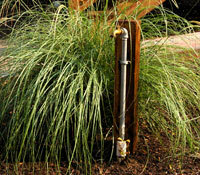 If you are contemplating about new landscaping or if you have an existing landscape that requires hours of your time to water, an underground irrigation system is worth considering. 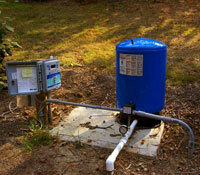 A properly designed irrigation system broadcasts water evenly to insure consistent coverage. Application rates are adjustable according plant requirements. 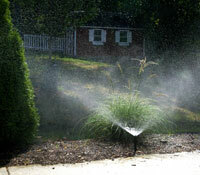 It is a common misconception that irrigation systems waste water. They actually use water very efficiently. There is almost no overspray and each system is on a consistent schedule requiring less water to maintain the proper moisture levels within the soil. Plants not only thrive with the proper amount of water, but thrive when watered consistently. We have designed many standard systems that operate using city water and also more advanced systems that utilize rainwater.